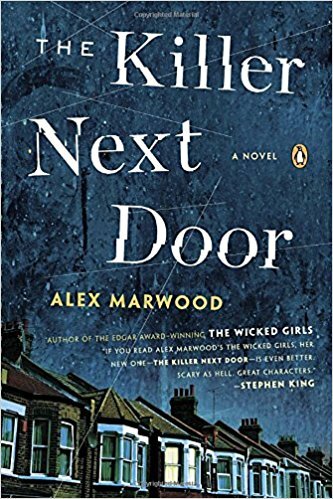 If you read Alex Marwood's THE WICKED GIRLS, her new one--THE KILLER NEXT DOOR--is even better. Scary as hell. Great characters. Everyone who lives at 23 Beulah Grove has a secret. If they didn’t, they wouldn’t be renting rooms in a sketchy South London building for cash—no credit check, no lease. It’s the kind of place you end up when you you’ve run out of other options. The six residents mostly keep to themselves, but one unbearably hot summer night, a terrible accident pushes them into an uneasy alliance. What they don’t know is that one of them is a killer. He’s already chosen his next victim, and he’ll do anything to protect his secret. Alex Marwood’s debut novel The Wicked Girls earned her lavish praise from the likes of Elizabeth Haynes, Laura Lippman, and Erin Kelly and received the Edgar Award. Now, Marwood’s back with a brilliant, tightly paced thriller that will keep you up at night and make you ask yourself: just how well do you know your neighbors?